razazel reassigned T85764: Aiming DeadZone Bug- auto centre when aiming down sights. from razazel to Astaroth. razazel reassigned T85935: Script commands doMove and commandMove cannot reliably move AI units to some building positions from razazel to Astaroth. razazel renamed Arma 3 (1.86.145229) from Arma 3 (1.86.145229) to 1.86.145229.
razazel created Arma 3 (1.86.145229). razazel closed T123238: 3FPS Issue "Call for Help" - Dump-gathering ticket as Resolved. razazel reassigned T120458: Drones-Splendid Camera-bug from razazel to Wulf. razazel created Arma 3 (1.84.144923). razazel reassigned T121950: When an ammunition is loaded in a weapon, the weight of the ammo is doubled. from razazel to Wulf. razazel reassigned T82940: Deleting non-local object produces RPT spam from Adam to Wulf. razazel created Arma 3 (1.82.144710 - Hotfix). razazel created Arma 3 (1.82.144647). razazel added a comment to T84532: The LOD1 of RPG-42 has a ugly 3D model!. razazel closed T124956: Laser Guided Artillery screws each time as Resolved. razazel created Arma 3 (1.80.143869 - Hotfix #2). razazel closed T127388: BUG on defend Neochori as Resolved. razazel closed T127388: BUG on defend Neochori, a subtask of T116694: New Flamepotatothrower weapon, as Resolved. razazel created Arma 3 (1.80.143751 - Hotfix). razazel closed T123725: [Tanks DLC] T-100, Slamer and Kuma -poor ability to overcome obstacles. as Resolved. razazel closed T123725: [Tanks DLC] T-100, Slamer and Kuma -poor ability to overcome obstacles., a subtask of T117728: [Tanks DLC] Dev T-100, Slamer and Kuma always appears a sudden problem, it is impossible to eliminate this behavior., as Resolved. razazel closed T123164: Editor, menu item of "Perfomance". - there is no translation into Russian. as Resolved. razazel closed T83745: I am always wounded when firing from a mortar. as Resolved. razazel closed T82562: Incredibly low FPS when in multiplayer servers. When the status "reviewed" will change to "resolved"? as Resolved. razazel closed T126556: [Tanks DLC] All cars on caterpillar the course - doesn't have inertia of the frontal movement as Resolved. razazel closed T126556: [Tanks DLC] All cars on caterpillar the course - doesn't have inertia of the frontal movement, a subtask of T117728: [Tanks DLC] Dev T-100, Slamer and Kuma always appears a sudden problem, it is impossible to eliminate this behavior., as Resolved. razazel changed Resolution from resolution:open to resolution:fixed on T126684: UAV can not turn on the night vision mode. razazel closed T126684: UAV can not turn on the night vision mode as Resolved. razazel created Arma 3 (1.78.143717). razazel reassigned T119858: Empty RPG-7 shown with a rocket, when it is lying on the ground. [video] from razazel to Wulf. razazel added a comment to T124802: Mass Battle Eye Kicks on Multiplayer servers..
razazel closed T85582: Prologue Campaign; Damage Control, Cant access Little Bird as Resolved. razazel closed T119479: WY-55 Hellcat (Armed) fails to attack targets as Resolved. razazel changed the status of T85673: More realistic Smoke & Dust Effects from Acknowledged to Feedback. thrown just 4 smoke grenades for cover... ehmm yes... ai had good laugh. razazel set the icon for Argo to Project. razazel added a comment to T119284: Every particles don't show correctly..
yes, random particle disappearing seems to be fixed! Should I make a new ticket for it or is it already worked on ? razazel changed the status of T119284: Every particles don't show correctly. from Reviewed to Feedback. Fix is already in progress, unfortunately it did not make it into the latest hotfix, we will do our best to include it as soon as possible. razazel edited Description on Arma 3 (1.76.143187 - Hotfix). razazel created Arma 3 (1.76.143187 - Hotfix). razazel added a comment to T123450: Out of Memory Crashes. You might also try Profiling branch, it contains some crash fixes that did not made its way into a stable update or emerged afterwards and had to be fixed. You can use the profiling branch to play on the stable servers. Thanks for the dumps. Could you please try to switch to the Development branch of the game and try to reproduce the issue with the Diagnostic Exe? razazel updated subscribers of T121950: When an ammunition is loaded in a weapon, the weight of the ammo is doubled. .
@Georg_Ravioli Fix is still in progress. razazel closed T124891: Deck Crew Eden Editor preview image is incorrect as Resolved. razazel closed T118157: Cant fire through open door as Resolved. razazel added a comment to T123940: Vehicle Respawn Module broken after 1.68. @Muzzleflash I tried the repro steps mentioned by Amontieri and it seem to work, Quad bike respawned after being deserted. Could you perhaps provide your testing setup so I can reproduce it? Should be fixed with the release of 1.76 update, can you confirm? razazel changed the status of T125448: Can't edit missions from MP server browser - button missing from Reviewed to Feedback. razazel closed T125357: Player Locked slot issue after 1.70 as Resolved. 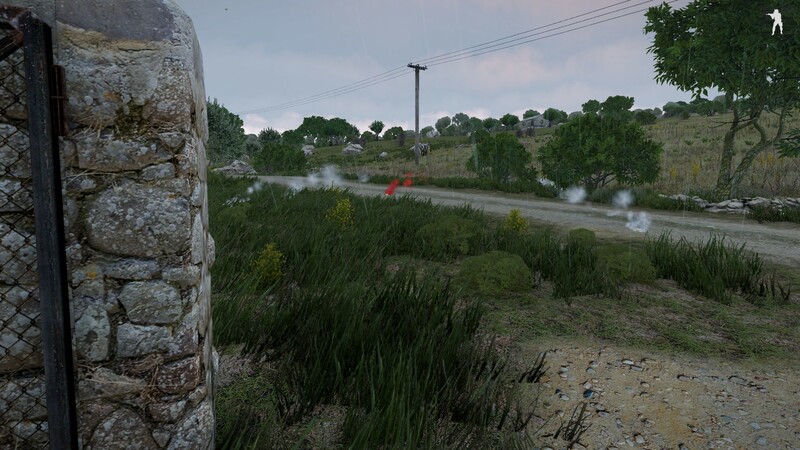 razazel added a comment to T125357: Player Locked slot issue after 1.70.
razazel added a comment to T124112: Issue with Sound in 1st person on 64-Bit ARMA 3 stable - Lag - Stutter - USB 7.1 headset & AMD CPU. razazel created Arma 3 (1.76.142872). @Liveandletdie No ETA on the update itself, however, and RC is out now and it contains fix for this issue. As mentioned on the Twitter we are looking into the issue together with BE developers, searching for a suitable solution. Unfortunately that is the only info I have for now, I'll try to keep this updated with the progress (once I know something). The 1.74 update was merely a hotfix for a different critical issue, this issue should be fixed in the next proper update. It is a very complex issue that was not really easy to fix so unfortunately it took us long. razazel created Arma 3 (1.74.142559 - Hotfix). razazel changed the status of T126362: Increasing 'AllDead' and 'AllDeadmen' collections during game - can't deleteVehicle from New to Reviewed. Thank you very much, we will look into that. razazel closed T117183: Linux server pbo file limit as Resolved. Fix is in progress, do not worry about that. razazel changed the status of T126184: Linux crashes on #include from Description.ext from New to Reviewed. razazel changed the status of T126198: Just delete my account from New to Reviewed. could you please tell me what exactly got deleted? I am a bit confused as we do not delete any tickets or comments. razazel changed the status of T126078: BIS_fnc_addStackedEventHandler issue with input parameters since EXE rev. 142285 (game) from New to Reviewed. razazel added a comment to T118590: ENVG-II is blocking the sight in first person if you are wearing the Special Purpose Suit. @Afgfighter Old repro still valid? I am having trouble reproducing the issue, seems to work fine. razazel added a comment to T124636: Dev 1.71.141457: 1st manually guided missile looses target 2-3 sec after a second missile is launched. razazel closed T124636: Dev 1.71.141457: 1st manually guided missile looses target 2-3 sec after a second missile is launched as Resolved. razazel closed T126142: Private variable in a function is overwritten if a function returns a value with same private variable name. as Resolved. razazel added a comment to T123918: setUnitLoadout command broken. Could you please try the repro provided by @SpyderBlack723 and tell me if its valid for you? If it is, there is perhaps only something I missed. razazel closed T124761: [Arma 3][version 1.70 - RC and Release][Linux] segfault on start up as Resolved. razazel changed the status of T126030: MPclient can't take items in deadbody's vest/uniform/bag When change equipments on eden. from Need More Info to Reviewed. @reschke Hello, sorry for the late reply. razazel changed the status of T125388: Eden Statusbar isn't working from New to Reviewed. razazel changed the status of T126030: MPclient can't take items in deadbody's vest/uniform/bag When change equipments on eden. from New to Need More Info. razazel changed the status of T125728: ArmA 3 randomly quits to desktop constantly from New to Need More Info. razazel changed the status of T126055: Game Crash at starting the Game through the Launcher. from New to Reviewed. razazel reopened T126054: bug as "Reviewed". razazel closed T126054: bug as Resolved. razazel changed the status of T126041: Arma 3, game crashing in attack helicopter showcase. NEW from New to Reviewed. razazel changed the status of T126035: Arma 3 Freezes/Crashes A Few Seconds After Main Menu Loads from New to Need More Info. razazel changed the status of T126044: MQ-12 Falcon Guided Missile Glitch from New to Reviewed. razazel changed the status of T126042: Game keeps crashing on some servers // 0xC0000005 - ACCESS_VIOLATION from New to Need More Info. razazel changed the status of T125844: Server crash when deleting vehicle cargo from New to Reviewed. razazel closed T117505: Arma 3 Apex DLC Tanoa Airport (Aeroport de Tanoa) Invisible Wall as Resolved. razazel changed the status of T125951: BIS_fnc_AircraftCatapultLaunch often fails to launch aircraft successfully from New to Reviewed. razazel reopened T122850: "Spectator." in editor - low horizon viewing distance as "Reviewed". razazel created Arma 3 (1.72.142223 - Hotfix). razazel added a comment to T125937: Can't start the game. Disabling Steam overlay and running through Steam might do the trick as well. razazel changed the status of T125919: Crash from New to Reviewed. razazel changed the status of T125892: Game crash on one area of the map from New to Reviewed. thank you for the feedback. Could you please also provide info about the specific area you need to enter for the game to crash? razazel changed the status of T125928: Cannot play , Multiple crashes from New to Need More Info. razazel changed the status of T125930: Crash Report from New to Need More Info. razazel changed the status of T125680: Cannot achieve "Puppeteer" and "Dressing Doll" from New to Reviewed. razazel closed T125933: Cannot achieve "puppeteer" and "dressing doll" as Resolved. razazel changed the status of T83831: LASER Designator Tripod from New to Acknowledged. razazel changed the status of T125937: Can't start the game from New to Reviewed. razazel changed the status of T125914: No guidance for ATGM when locked on laser target from New to Feedback. As you have already noticed, this issue should be fixed in the Dev branch, please let me know whether the fixed worked. razazel closed T125890: as Resolved. razazel changed the status of T125921: CRASH from New to Reviewed. razazel changed the status of T125866: Several Crash from New to Reviewed.